10: Well since you're done with the drama, you'll have to start your activities with band 'Walrus'. How did this come about in the beginning? 10: I heard that it's been nine years since Walrus was formed. You weren't able to pursue your activities as a band very actively so what was the driving force behind you remaining together? Kim Jae-wook: I'm not sure about that either. And I don't know about the other members but I at least have never given up on the fact that I'll do a band. Added to that, I always thought, 'I'm going to do a band. I'm going to do it with these guys'. 10: I don't know if it's understandable for a third party but how is it that you're sure that it's 'these guys' that you want to work with? I'm sure it's not just an issue of being close friends with them. Kim Jae-wook: Hmm... Well with drummer Tae-hyun, I thought that I should do with him the moment I first saw him when I entered college. And I got to know the guitarist a bit after that. I think everybody feels like this? It doesn't work with one-sided love. I'm sure there are vocalists who are much better than me and drummers much better than Tae-hyun but I just felt that I should work with him. 10: I'm sure you have a simple dream for your band, not as a model or actor. Kim Jae-wook: Well, if I may tell you without any consideration of what my band might think, (laugh) it's my dream to go on tour like in the movie "Almost Famous". We'd all live together in one bus for months -- the members of our band, the staff and a reporter from a magazine. I think it would be impossible to do in Korea so maybe, if I may be a bit greedy, I think I'd be very happy if I could live like that for a few months in the Asian market. 10: You performed on stage a couple of times last year including at the Grand Mint Festival. How would you evaluate your band's perfomance? 10: But I thought that people who do work that involves showing many other people usually fall under strong narcissism. I think they don't have that certain aura about them without it. It doesn't necessarily have to be narcissism but do you think you sort of have something like that too? Kim Jae-wook: I do. I think it's really hard to be in this industry without it. I talked about that once with actor Lee Sun-kyun while drinking with him -- whether someone without narcissism can do something by exposing themselves and make something that has no answer to it. And we came to the conclusion that you can't express something and show who you are without being narcissistic. But the word 'narcissism' doesn't give off such a great vibe in Korea. It all goes down to whether you change some form of energy into narcissism and while I think I mostly felt hostility and rebellious when I was younger, I think I've changed a bit now. I've become more broad-minded as well. I think it shows in the lyrics that I write too. 10: I think songwriting probably feels different from modeling or acting in the sense that you express your idea in text and deliver it through singing. In a way I think it's the most difficult job to mask yourself. 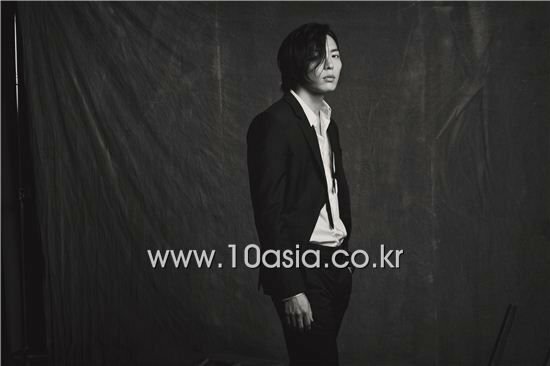 Kim Jae-wook: I think I show myself the most through music. Because it's a genre where you can so express everything so purely without any filtering. And that's also why I think it's the most difficult. It's difficult and I try to be careful with it. Maybe that's why it took nine years. (laugh) And it's also difficult because I didn't learn to write somewhere and I don't know how others do it. 10: You started working in your late teens and you're now in your late twenties. I would say that you've relatively taken a path that you've chosen for yourself. What do you think? Kim Jae-wook: I had fun. And rather than finding satisfaction out of it, I really think 'I would've had a really hard time if I hadn't done it this way'. Back then it was a really small choice that I made but I think not giving up or stepping back changed a lot of things for me. I also think I'm lucky even with the fact I've gotten this far. I guess I'm lucky. I actually haven't changed by much compared to then. I've just become more sly so I act differently from then in how I try not to have people misunderstand me, dislike me and not think I'm weird. If I keep using my energy to express hostility or rebelliousness while living a life that others don't think is natural, I'll only be turning myself into an outsider. But I think I'm growing increasingly scared because I didn't used to feel much stress over this back then. Now, I have things I need to protect and support, and a small mistake I make can lead to causing big problems. So I do have migraines that I didn't have before. 10: Do you still become interested in different fields of work? 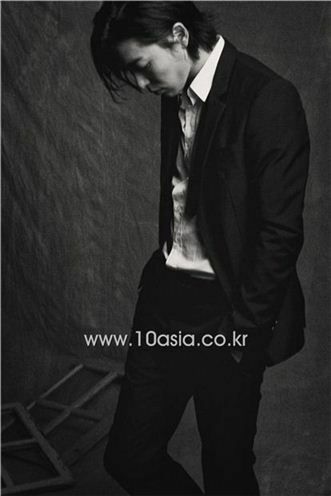 Kim Jae-wook: Yes, I've had so many dreams since I was young. A police officer, cook, archeologist and I've also wanted to save penguins in the South Pole. But there's only a limited number of things one can do in their lifetime. And even though I know that, there are still new things that pop into my mind. I recently became an avid fan of the Spanish national football team. And I thought, 'Is it too late to start soccer at 27?' I wanted to become a national soccer player of the Spanish team rather than wanting to play soccer. And I'm Korean! (laugh) So I just bought their home and away uniforms. I wear it when I'm at home and when I workout. I actually like baseball the most but I play a lot of soccer these days. 10: What do you think you need to live with the minimum amount of satisfaction? Kim Jae-wook: I think it's people. The energy that is made during the time I spend while I'm alone is created during the time that I don't spend alone. So I think ultimately, you gain the most from people and you can't do anything without them. 10: Then what is the virtue you consider the most important of people and what would you never look past?